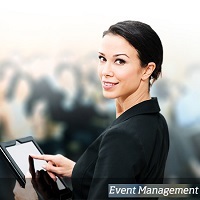 The event management industry is growing by leaps and bounds, attracting many people who want to be in the business of translating entertaining concepts to reality. The prerequisites for people to be successful here include the ability to multi-task and network, organizing skills, a highly creative mind, an ability to see the big picture and to work with varying budgets & preferences of the clients. Profiles here range from planning executives, event managers and so on and we provide manpower to many such companies in this sector after undertaking full assessment. © Copyright 2012. Pages Consultancy (p) Ltd.